Pedestrians are some of the most vulnerable people on the road. Pedestrian accidents can cause severe injuries since pedestrians are not protected by a vehicle or even a helmet. The risk of serious injury is exceptionally high with these kinds of accidents. It is important for vehicle drivers to remember to watch for pedestrians and use caution and it’s equally important for pedestrians to remain vigilant while they move through these areas. On May 21, police responded to an incident that occurred around 9 p.m. The accident occurred on West Center Street, near 106 and the Route 24 overpass. Upon arriving at the scene, police discovered an injured pedestrian who is suspected to have been hit by a passing vehicle. A white Toyota remained at the scene, though it was unclear if it had stopped to assist the woman or was directly involved in the accident. While the cause of this accident is still being investigated, the injuries to the pedestrian show how serious these incidents can be. Drivers need to remember that they share the road with pedestrians and they have a duty of care to all others on the road around them. 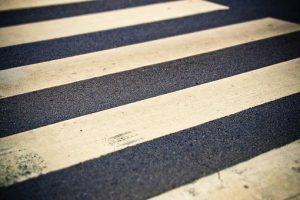 Drivers who act recklessly and cause accidents could be held liable, and pedestrians who are injured by negligent drivers can seek compensation and assistance for their injuries. Victims deserve to receive help when they’ve been injured. We at the Law Offices of Jeffrey S. Glassman are concerned members of this community and urge everyone to exercise caution, whether they be the driver or the pedestrian. Pedestrian accidents can often be severe and life-changing, and it’s crucial we all do our part to prevent them. However accidents do happen, and we are also here to help victims as they seek to recover their rights and receive the compensation needed to return to their lives.